On May 29, 1969, government ministers from France and Germany squeezed into a makeshift airplane cabin on the tarmac of Le Bourget airport near Paris and agreed to finance the construction of the first Airbus commercial jetliner. The low-key ceremony at that year’s Paris Air Show brought together two former enemies whose once-flourishing aviation industries had been decimated by war, and the moment affirmed their shared ambition to reclaim Europe’s role as a global technology leader. It was a goal that seemed the height of folly: In the 1960s, aerospace was the pinnacle of high tech and dominated in the West by American giants like Boeing, Lockheed and McDonnell-Douglas. Europe’s only other civil aircraft project, the supersonic Concorde, was behind schedule and over budget – proof, it seemed, that Europeans weren’t yet ready to compete. Fifty years ago, the odds against success looked overwhelming. Airbus’s journey to become one of the world’s two biggest plane makers is a remarkable tale that unfolds over a period of dramatic technological, economic and political change. It tracks the revival of Europe from the devastation and division of World War II, through the Cold War and into the new challenges of the early 21st Century. 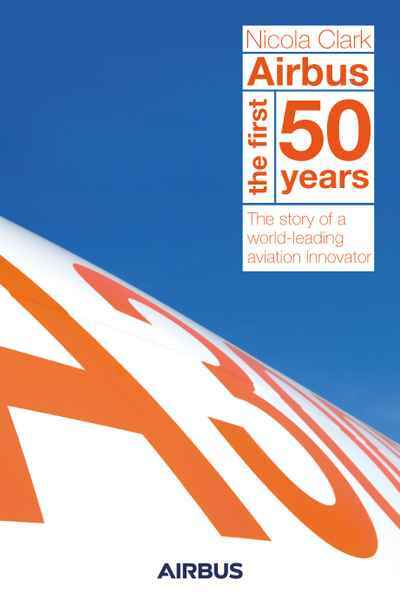 Nicola Clark’s unique and comprehensive history of the first fifty years of Airbus offers not simply a celebration of an innovative and successful company, but a valuable insight into the creation, development and success of a world-leading aviation innovator.